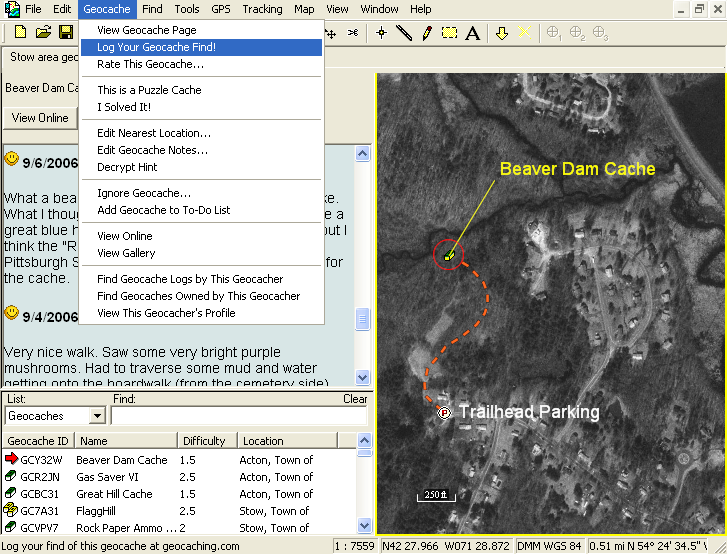 Download geocaching software for your Lowrance GlobalMap 5300C iGPS GPS! ExpertGPS is the ultimate geocaching software for your Lowrance GlobalMap 5300C iGPS. ExpertGPS lets you map your Geocaching.com .loc files and GPX Pocket Queries over USGS topo maps, aerial photos, and worldwide street maps. See exactly where the cache lies, and draw the route you'll take to the geocache. Use ExpertGPS to download all of the geocaches and the routes you'll take to your GPS, and to print high-resolution maps to carry with you. When you're back home, use ExpertGPS to view the tracklog from your Lowrance GlobalMap 5300C iGPS and see exactly where you've been. ExpertGPS works with all your favorite programs, like Google Earth, MapSource, and GSAK. Try ExpertGPS for free with your Lowrance GlobalMap 5300C iGPS today! Download ExpertGPS for free and start mapping geocaches with your Lowrance GlobalMap 5300C iGPS today!